This MFT Color Challnge was cherry crisp, kraft, sno cone, and nightshift blue. So I made a scrappy little card, and I'm really happy with how it turned out. 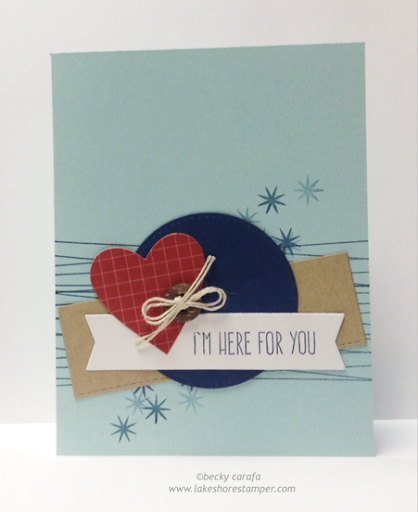 I embossed the scallop stencil on the circle, but you can't tell in the picture. Hope you are staying warm where you are, it was almost 20 below last night, and I'm enjoying extra stampy time due to two days off school in a row! Now off to make soup for dinner. Sno Cone as the card base makes this card look so FRESH, Becky!